That was my daughter’s response for when I asked her how her first day of school went. I breathed a sigh of relief. I was pretty sure everything would go fine. However, in the back of my mind, I had typical mom fears that someone would bully her, that she would fall in a big puddle (in Southern California drought-land, I realize that sounds ridiculous) or have a mean teacher. My daughter enjoys school. Thus, so far, the transition from summer to school has been seamless. However, I know this isn’t the case for everyone. Some children, especially those going to school for the first time, can shed a lot of tears. Some have back to school anxiety. For whatever reason, some just don’t like school. I’ll be honest. Even though I like the structure back-to-school brings, I’m not a fan of waking up early. I’m not a fan of school traffic. And, keeping the homework and PTA notes away from my dog (yes, she will eat your homework) and my toddler is a whole other issue. The first day of school can be seamless or a struggle. 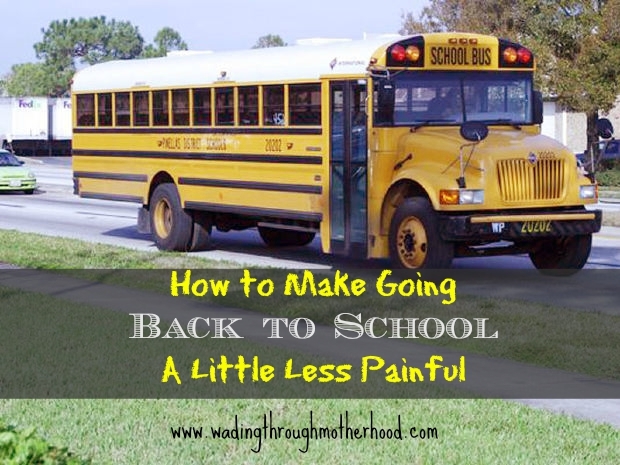 Here are a few ways I have made going back to school pain-free. Even after having two babies and many 4:00 am wake up calls, I have never gotten used to waking up early. If you’ve managed to keep your children on the same schedule as the school year, I say bravo. However, if you have strayed a little, if your kids' bedtime (and your own) has gradually inched up over the summer, it’s best to get your kids back on schedule. You could go with the old rip-off-the-bandaid method, but I’m a fan of easing into a new routine. For instance, a few days before school starts, I begin putting my kids to bed 15-20 minutes earlier each night, until they are at the desired school bedtime. Prior to having children, I made the mistake of wandering into a big box store on the night of the first day of school. At the time, I was a teacher, so you would think I would have been more aware. As I came to the school supply section, I was shocked. Kids (and their parents) were ransacking the near empty shelves like ravenous zombies looking for their next meal. When I made my way to the checkout, the long lines were full of tired and angry people. Needless to say, now I get my school supplies several weeks in advance. I’m lucky that the school supplies most of the items for my daughter. However, I know as kids get older the supply list becomes increasingly longer and more expensive. Many children experience back to school anxiety. It makes sense. There are unfamiliar faces, new routines to learn and a new teacher. If you have an elementary-aged child, there are so many funny back-to-school and first day of school books out there. When my daughter entered kindergarten, we read a cute rhyming story called The Night Before Kindergarten by D.J. Steinberg. This funny story talks about things like the first day of school, lunch time, line leaders and the 100th day of school. Another favorite of mine is First Day Jitters by Julie Danneberg. A breakfast high in protein will help give your child, enough energy to make it to lunchtime. Toast with nut butter (or soy butter) is a good choice. I often make scrambled eggs because it’s quick and easy. This year, I even pre-made some french toast sticks on multigrain bread. These are not as high in protein as eggs or nut butter. However, in case I have a "case of the Mondays," I put these in the freezer for future use. I don’t like being that parent who is running-while-trying-to-put-on-her-toddler’s-socks-and-dragging-her-other-child/ren-behind-her. I like being punctual. Even better, I like being early. The first day of school can be chaotic. Being early helps take away the stress and give your child some time to adjust to their surroundings. Make sure your child knows where to line up or where there classroom is located. These things are especially important if your child is in kindergarten. During the summer, it’s a good idea to keep your children in the learning routine. As a credentialed teacher, I know reading is a great way to prevent summer slide. Doing things like reviewing addition, subtraction, multiplication facts along with sight words can help your child keep up their skills from the previous year. It can also make homework less of a shock to the system. If you didn’t do this this year, don’t worry, but do keep these tips in mind over winter break. I’m excited that the school year is underway. How about you? Has your child gone back to school yet? 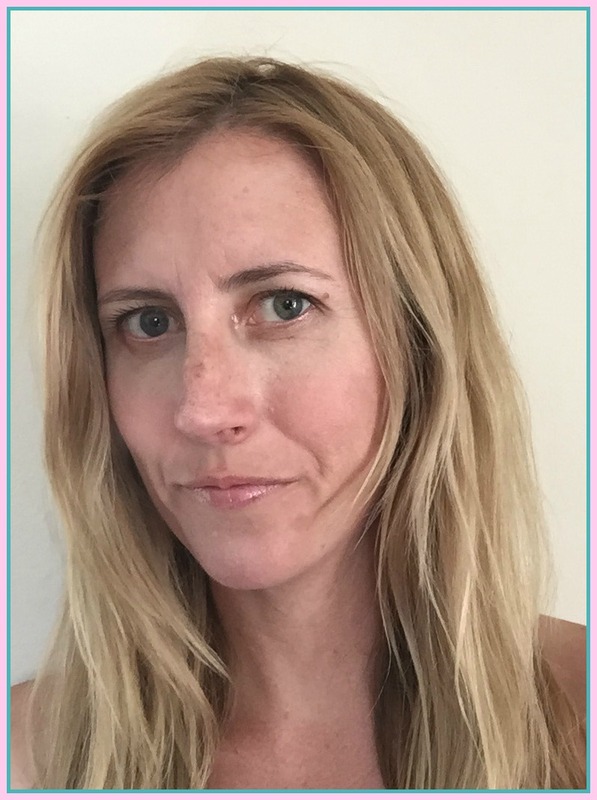 If you have a moment, please click on the banner below to vote for me for Top Mommy Blogs. One click=one vote. Thank you!